Russell Medical Center | Case Study | Energy Focus Inc. This has been a very beneficial project for Russell Medical, in not only saving the hospital money on energy costs, but also providing a higher quality, better product for our patients and staff. It was obvious switching to LED was the right solution after working with Energy Focus and LED Solutions to complete this project. Russell Medical Center, located in Alexander City, Alabama, is a hospital system that has been serving the rural communities of Alabama since 1923. Throughout its history, Russell Medical Center has undergone many renovations, expansions, and changes to its design, the latest of which is a complete retrofit from fluorescent to LED lighting using Energy Focus products. For a medical facility, something as simple as lighting can mean the difference between life and death. 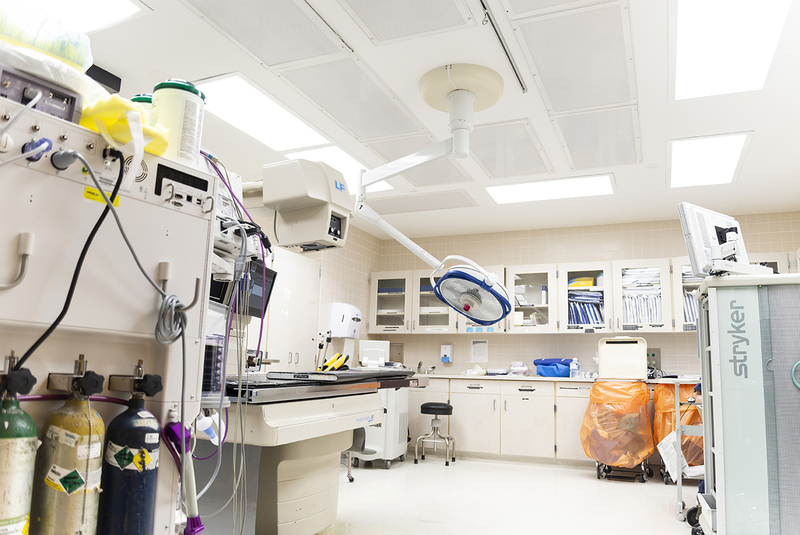 Reliable lighting is imperative in operating rooms, exam rooms, patient’s quarters and hallways not only for accuracy but also for patient safety. However, lighting can also be the single-largest energy draw on a large-scale facility’s electricity bill. Since a hospital operates 24/7/365, so must the lights. Russell Medical was looking for a lighting solution to not only reduce energy-consumption but provide a reliable and healthy source of light for its patients and staff. Energy Focus, in partnership with Alabama-based ESCO, LED Solutions, completed the 319,000 square-foot retrofit with 10,000 Energy Focus flicker-free tubular LEDs. If you are a medical center looking to make the switch to LED lighting, contact us to get more information on how Energy Focus can help.